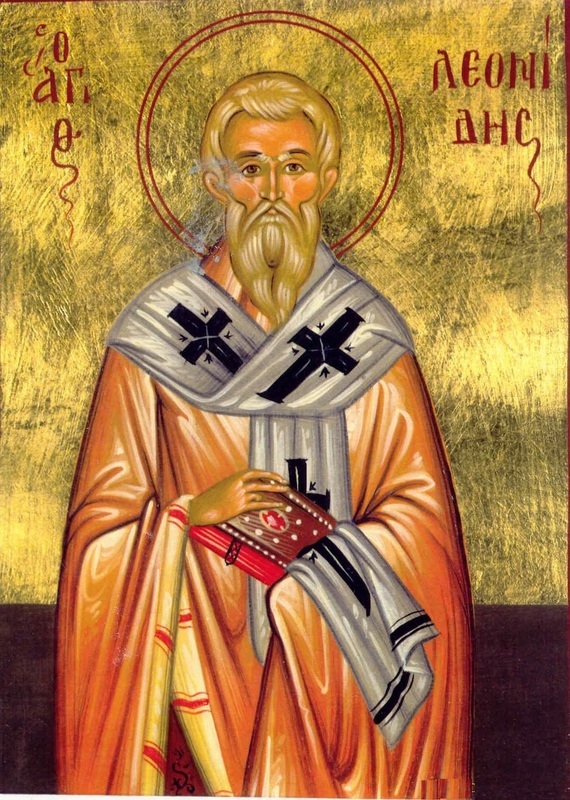 Furthermore, from the 12th century, many writers, especially in an encomium to the Hieromartyr Leonides by Bishop Michael Choniates of Athens, have identified this Saint Leonides with the Saint Leonides commemorated the next day on April 16th. This is probably due to the fact that the Saint Leonides commemorated on April 16th, who was martyred in Troizinia with seven women in the mid-3rd century, had his relics transferred to Athens in the 4th century, which were revealed in divine visions to certain pious Orthodox in 1917. 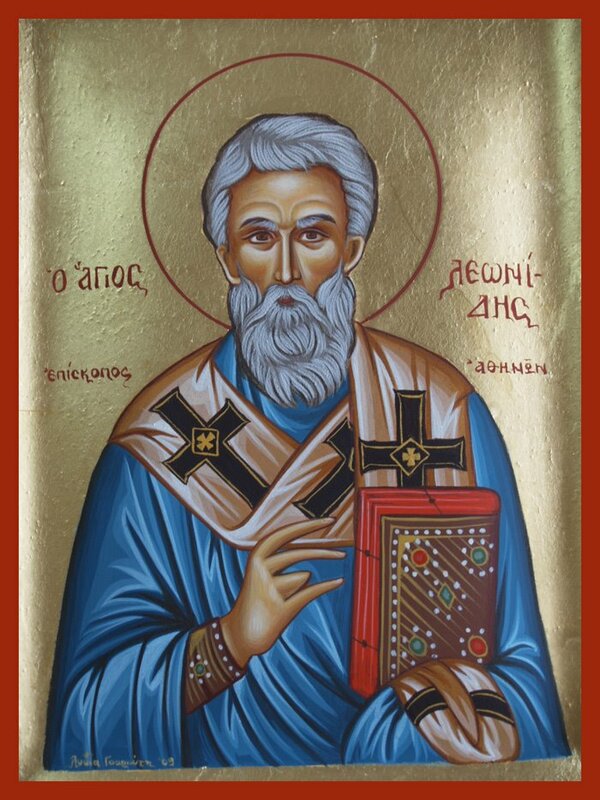 But the Saint Leonides of April 16th is never spoken of as being a Bishop at all, just a martyr and teacher. Ultimately, the identity and death of Leonides the Bishop of Athens is a mystery that has yet to be solved. Most-sacred Shepherd, and wise Hierarch, of the renowned city of Athens, blessed Leonides, having venerably served as a priest of the Savior, you contested beyond what is natural, and you destroyed error. And now Father do entreat, on behalf of those who honor you. Inspired Hierarch Leonides, thou didst end thy life as a martyr. Thou didst rejoice in thy torments, and enter the Kingdom of Heaven. Pray to the Lord for us who celebrate thy memory.